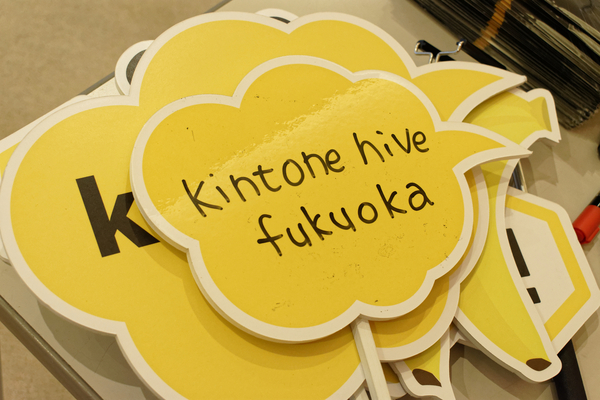 kintone hive Fukuoka vol. 1 was held on April 19th, 2017 at the ACROS Fukuoka Arena Hall. Please keep reading for summaries of each presentation. 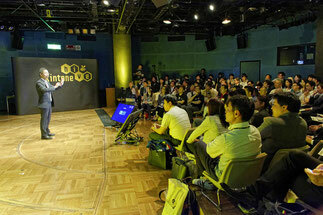 The first presenter was Naoya Takata from the Daiwa General Affairs Department . Daiwa Co. LtD. lends scaffolds for general contractors and construction projects. Mr. Takata focuses on recruitment activities, which is challenging against the decreasing number of craftmans in the Construction industry. It has three main factors "3K" in japanese means hard work, dirty and danger. He is trying to combat this by introducing kintone to find solutions, improve conditions. First, he talked about the experience of a working mother whose job is to investigate new construction and renovation sites. Previously, matters such as route determination and site photos would be reported with physical papers, but now that they use kintone, the time she needed to manage her tasks was successfully decreased. This system was also applied to the construction sites for Scaffolding craftsman, which saved each team approximately 30 minutes each day. 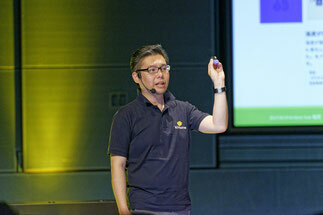 Mr. Takada emphasized how impressive it was that for 100 teams, a total of 170 hours were saved. Even though these positive effects were felt quickly, there was initially some backlash from more conservative faction. But they wanted a solution. So, to get these people used to kintone, he created various apps for them with their opinion. And, he tried to show them non-business related applications. For example, "Apply for football tickets" Mr. Takata stated that "As more people started using kintone, the number of supporters increased." In general, there has been operational improvement, but the reality is that there are not many opportunities to receive praise. 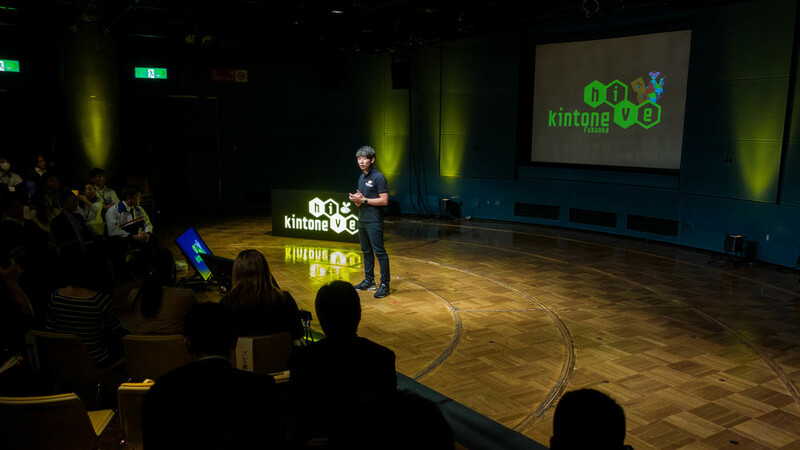 Mr. Takata passionately stated his desire to expand the cycle of improvement through kintone by hosting work style improvement seminars and exhibitions such as kintone Café (kintone study community) where Users and Systems Integrators gather. 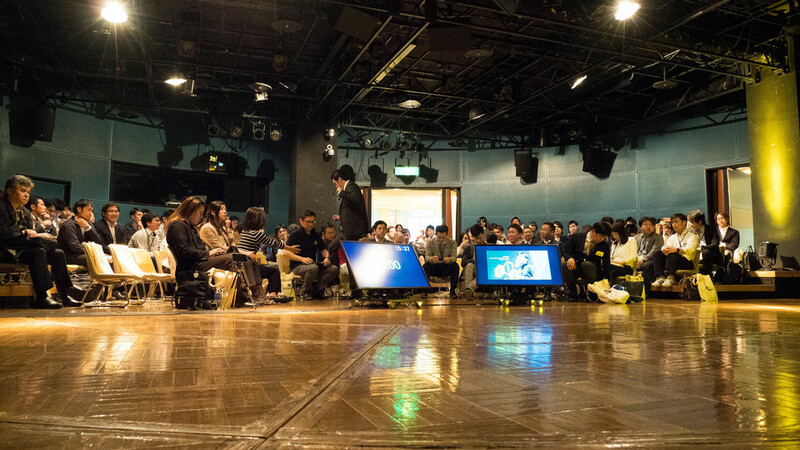 Finally, referencing a previous "kintone hive report”, he announced that a message stickers for LINE app depicting a working man would be given to all attendees and applause broke out. The power of kintone - Not just for data accumulation or replacing Excel! Nishimu Electronics Industries Co. Ltd. Sales Admin HQ - Sales Division Service Management Gr. 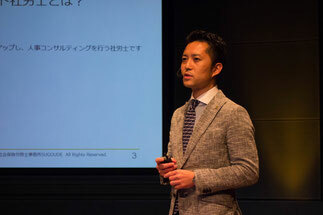 Next to present was Yosuke Harada from the Kyushu Electricity Group's Nishimu Electronics Co. LtD., which constructs, maintains and operates power transmission facilities. Mr. Harada acts as a workplace optimization consultant. 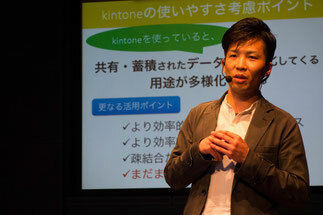 He discussed several ways that they utilize kintone in their sales department. Prior to the introduction of kintone, activities such as lead management, document review and report creation for printing were all done on Excel. It wasn't easy to share lead information or quotes, and teams at different branches had completely different workflows. 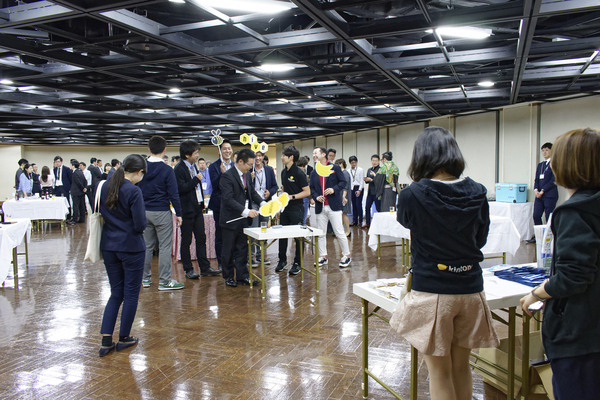 They also figured out how to easily export data from excel forms through a cloud service provided by Nippon Opro Co., Ltd. When kintone was first being introduced, there was a lot of opposition from multiple levels during pre-integration briefing sessions. However the managing directors proceeded. By taking the attention away from the concept of integrating a new system and focusing on work style reform, they began to convince people that using kintone would be a good decision. Another strength of kintone is that the users themselves create applications, in this case, the women in charge of sales administrative work. All system changes can be made by users, so there was increased system awareness and personal growth noted by the managing director. 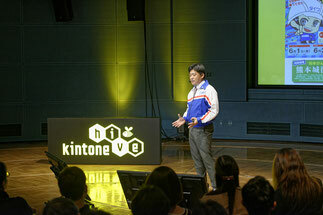 "It is great that kintone can be improved from the field," said Mr. Harada. Finally, he summarized the impact on their company by proudly explaining that "users themselves can take charge, facilitate communications and become increasingly independent during the PDCA process." He concluded his presentation with the well known phrase from the manga Dragon Ball Z "Orani Genki Wo Waketekure!" which translates to "Share your power with me!" to invite others to share with him their own kintone transformation stories. The President of CapDo, (est. 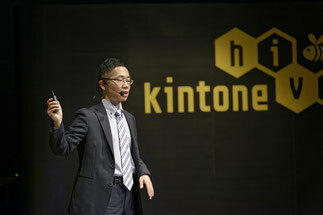 2016) Koki Morita, discussed how his company's operational infrastructure was built with kintone. Mr. Morita is in charge of business operational optimization and website production. He has previously worked with SalesForce, so he understood the value of using cloud-based services for real time operational visualization. He decided to adopt kintone to create a system to manage customers, leads and various other activities. His motivation for naming his presentation 'A doctor for your company,' was to express the similarity of kintone to a doctor in that "the company conditions are constantly visible, so you can carry out a cyclical process of checking data, taking action and making plans." 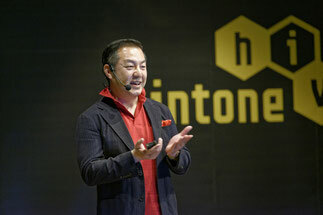 Regarding the development of an operational system, he discussed two types of advanced kintone app creation. These were app customization with programming and integration with other cloud services. The company uses kintone along with the business card management system "BizCompass," the storage service "Box," GoogleMaps, etc. All main applications are connected to customers so that actions can be taken directly from the customer management application screen. 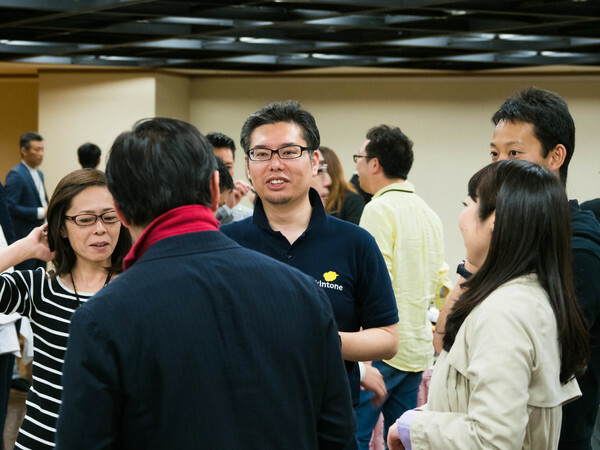 Mr. Morita was accustomed to SalesForce, but quoted several reasons that he switched to kintone for his new company. First and foremost was the low cost required to build a complex infrastructure. Then he cited the use of plugins and the potential for external service integration, which meant that anything he wanted to do with kintone was possible. Finally, he stressed the ease of customization. 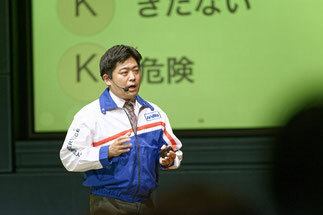 "Through 'kintone Sensei' we can visualize the past, present and future so it is possible to increase the speed of improvements," he explained. He finished by defining kintone as "a tool for management to share their realizations and maximize customer satisfaction." The next presenter was Itomi Itokawa from the Human Media Creation Center/KYUSHU, which is an auxiliary organization of the Kitakyushu City government that aims to promote the utilization of information and communication technology in the region. Kitakyushu e-Port has been operating for 15 years under the mission of establishing a strong information industry presence in the region. They have restarted as e-Port 2.0 to find solutions to region specific issues by partnering with academic, governmental and private organizations, such as technology and e-Port partners to support further industrialization. Their activities have received significant attention, for example, they have been certified as an “IoT Acceleration Lab” by the Ministry of Economy, Trade and Industry as well as the Ministry of Internal Affairs and Communications. 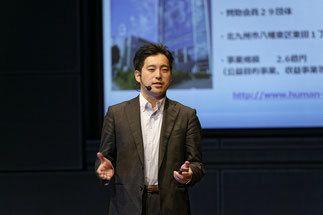 Mr. Itokawa promotes e-Port 2.0, but he noticed some management challenges emerging within the organization. There were many briefing sessions and opportunities for project co-ordination, but the teams themselves often failed to collaborate. Furthermore, other problems persisted, there were many temporarily transferred employees, there was a high risk of sudden personnel changes, and it was difficult to pass leadership of a project to someone else within a short period of time. "To be able to quickly hand over project leadership, it was essential that all detailed information was stored in an organized and accessible manner. kintone was very helpful with this." In addition to data accumulation they utilize kintone because if there are regional issues in the city but not the office, the corporate infrastructure is still accessible at any time. Information is now arranged so that it is easy to track previous personnel information. This ensures that when a new project leader steps in, the transition process is as smooth as possible. There are some remaining problems with daily utilization, such as compartmentalization with the pre-existing file server and issues with data entry and accessibility. To combat these, they are taking various measures such as gradually migrating necessary items into kintone and using the reminder function to keep up with which items are being updated. Without establishing data entry regulations, they observed and learned how to best operate so usage standards are being developed naturally. Positive results such as increased mobility, visualization of results, and easy management of more types of data were felt quickly. From now on, they want to continue to use kintone proactively by setting reasonable goals such as optimizing daily utility and automating data entry. "I thought that if we had a system, business improvement would happen naturally, but system development did not go well until then." They were deeply impressed by a Sonic Garden Inc. Publication on the topic of kintone development, so they began the system development process together with Sonic Garden. He noted that "One of the merits of kintone is that you can use and develop the system at the same time. As a result, there is now less handwritten work and data can be reused." In using the system, firstly, the president would identify work, and then write on a post-it note who was doing what and how long it was taking. "Sonic Garden taught us the importance of analog preparation strategies using notebooks, ballpoint pens and post-it notes." 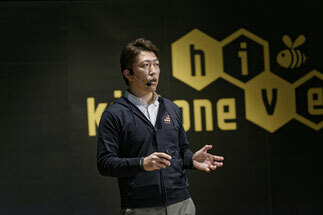 He emphasized that even for companies where it was difficult to decide to introduce kintone, for whatever reason they should be able to advance in optimization. Initially, Mr. Inoue tried to keep in mind the importance of creating an environment that was easy to work with. "Most employees are women with little to no industry experience. Up until now, we have tried to create easy to use work environments, but have been unable to successfully implement a system." With system creation, it isn't just information sharing through kintone, but there are various other necessary tools such as calendars, chat, and online data storage. "We hope to become a company that people are happy to work for." To reach this goal, they are actively utilizing ICT such as kintone. 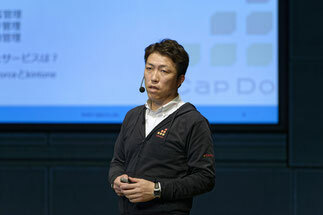 JOYZO's Ryu Yamashita presented on Japan's first system development service where only a fixed number of meetings take place, during which the system is built. He highlighted several trending words that have frequently become main topics during various system development cases. He analyzed that the use of words such as "plugin" and "IoT" indicate certain background needs such as data sharing and accumulation, utility diversification, efficient data entry and retrieval. Mr. Yamashita moved on to discuss a few concrete examples. They have worked to establish countermeasures against process management lump status changes. They've done maps integration that includes language and mobile support, and time recording that enables free mobile usage depending on UI improvement. There have been integrations with other project management tools for task sharing. Smooth information sharing among people without kintone accounts, such as seminar participants, has been established via mail transmission. They even discussed the IoT trash box that kintone had on display at the recent Developers Summit held in Tokyo. Overall, he expressed his opinion that "it is best if something can be done with only the basic functions, but when necessary, you can customize kintone to support anything." . 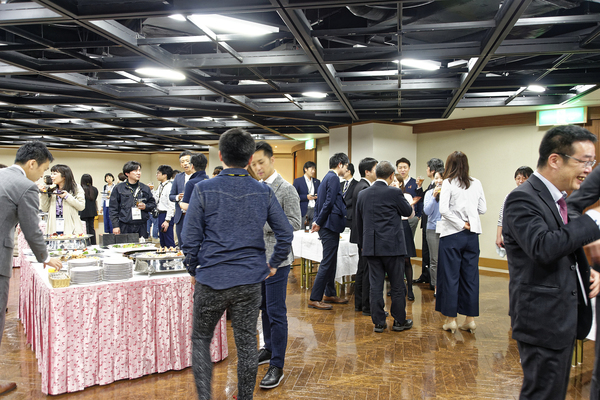 A departure from previous presentations by developers, the next presenter was Kouhara Shinichiro, a social insurance consultant at the SUGOUDE Social Insurance Labor Office. 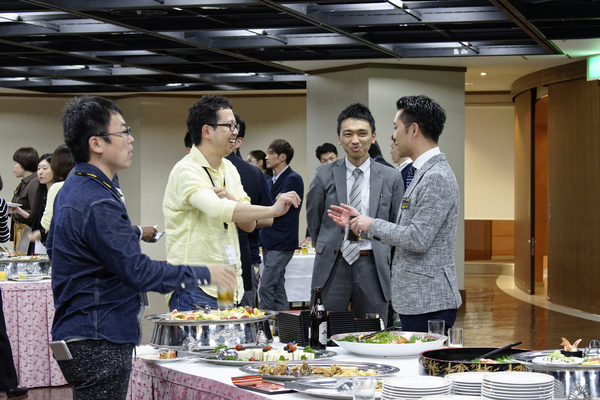 Mr. Kouhara introduced himself by saying that he does work in HR Consulting under the title 'IT Wizard,' and loves to recommend kintone above all other tools as a means for increasing operational efficiency. Despite his title, he is not typically involved in any social insurance procedures. 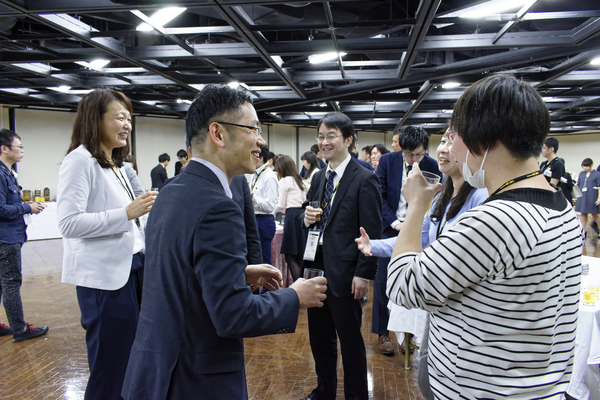 Mr. Kouhara believes that changing the corporate work style can lead to strong labor management processes. He named specific examples as to how continuing to use kintone may be useful for HR to encourage a business to function well beyond simply following procedures. Many companies use excel or word to create important employment documents such as employee directories or contracts when they should be using kintone. "Personnel management systems by big companies are often very expensive and lack versatility. In these cases, using kintone along with the form output service Print Creator can create a praiseworthy system. 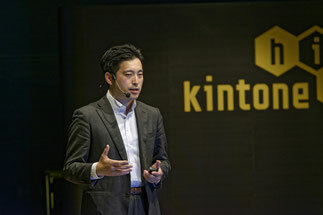 Further, only with kintone can you also view the change log of each record," said Mr. Kouhara. Finally, he shared the unique idea of putting a QR code inside of an employment contract that would allow new hires to access a special message from the company President. For this presentation, President and kintone Evangelist Junya Kume of AISC, which supports proactive adoption of IT by Small-Medium sized enterprises, introduced their humidity and temperature monitoring system created with MESH and kintone. "Temperature control is essential for in-home farmers, but while in transit, it can be difficult to check in real time without a way to monitor the conditions for any changes," he explained. Using the Sony temperature monitoring center MESH and a smartphone, the current temperature and humidity from inside a home or truck can be periodically uploaded to kintone. If there is a significant change in conditions, a kintone notification is sent to the smartphone. "You can create a strong network without consciously trying to do so, as the kintone API is publicly accessible. Then, the notification function completes the system. This is the power of kintone." he emphasized. 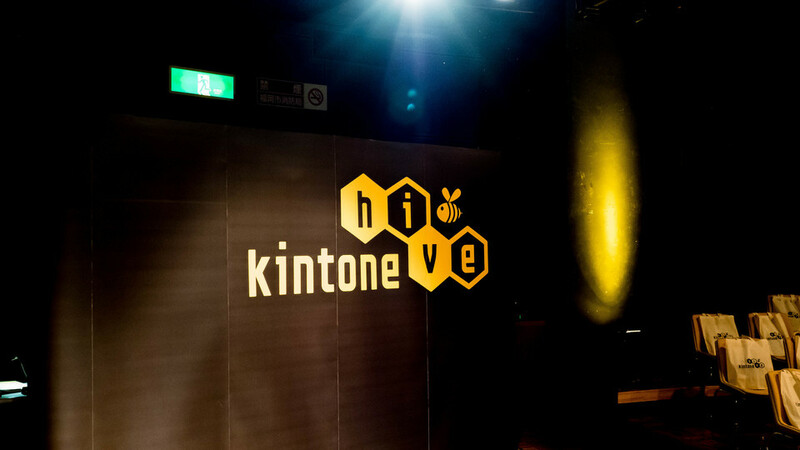 The final presentation was by Toshiyuki Konparu from R3 Institute, who was previously named the kintone hack Champion at kintone hive Tokyo vol 4. in November 2016. 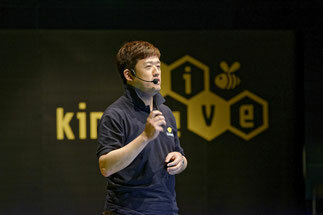 He is a kintone Evangelist who spends his time spreading knowledge about kintone. He explained how "there are many good things, but kintone is not yet a completed product, and it is the duty of the developer community to think about how to contribute to the product's growth." He then stressed some of the problems that a proactive developer may work on. Specifically, he identified 4 main issues within kintone that could use improvement. He named issues with the comment section, required displays that are difficult to understand, the possibility of losing track of which application you are viewing when you scroll down, and the inability to input full width digits. It is said that an engineer is someone who creates something that wasn't there previously. R3 has produced a backscratching kintone plugin called gusuku for increasing developer convenience. Mr. Konparu explained that just by enabling or disabling certain functions, you can establish an environment where it is possible to find solutions to certain problems. 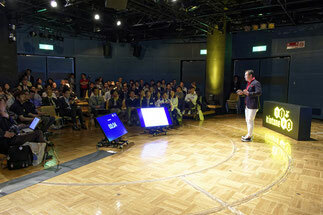 Finally, he announced to thunderous applause that some solutions to these issues would be made free to gusuku users. 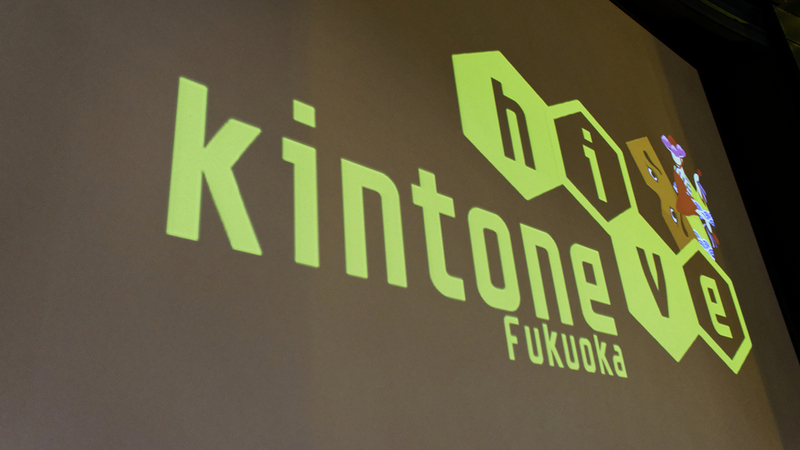 Thank you to everyone who attended kintone hive Fukuoka vol.1!